Awarded #1 Sandals Travel Agency in the USA Two Years in a Row! One of our Sandals specialists will help save you time & money planning your honeymoon. This service is FREE of charge to our WeddingVibe couples. Simply fill out this quick form and a WeddingVibe team member will get back to you. Exceptional personalized service - Email, call, or text us! We are an award-winning travel company! Don't just take our word for it- read other's testimonials and Facebook reviews! We booked our OCHI vacation with Dave. He was full of knowledge and helped our group choose OCHI as our travel destination. It was so hard to choose between all the beautiful resorts. OCHI was perfect! Close to excursions, lovely staff, and beautiful location. Dave checked in with us to make sure everything was up to standard. He had nothing to be worried about. Everything was perfect! Thank you Dave! Can't wait to book with you again! My fiance, Elijah, and I are in the process of planning on our wedding for June 2019! 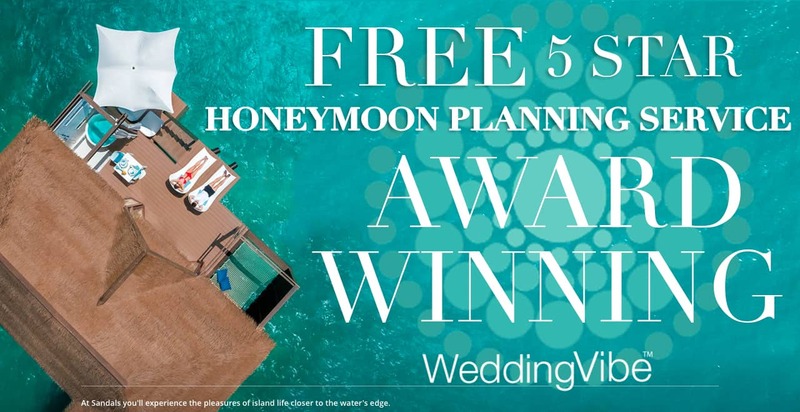 WeddingVibe Honeymoons found me through my account on their website with tons of great giveaways and contacted me via email! 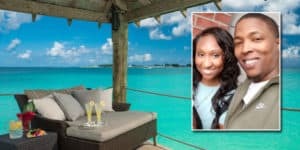 Jenni Hicks has been an absolute blessing to work with and helped us find the perfect Sandals location and the most beautiful room that opens up just yards from the beach! Booking through WeddingVibe has also saved us a TON of money, with the most expensive part of this process being saving up for our flight to Jamaica. We will be staying at Sandals Negril and we are so anxious and ready to go now! Can’t wait to see the real thing instead of photos! My fiance and I’ve been working with Jenni to plan our Honeymoon in May of next year. So far I must say she has been so amazing with answering questions and keeping us updated on flight prices, she has truly been a pleasure to work with so far and I would highly recommend her to anyone planning their honeymoon!e kept in consistent contact with us, kept me up to date on deals until we decided. He even booked our flights. Would definitely recommend. Booked my honeymoon to Montego Bay Jamaica through wedding vibe. I dealt with Marcus. He kept in consistent contact with us, kept me up to date on deals until we decided. He even booked our flights. Would definitely recommend. Personalized help if there are issues: missed flight, health issue, extreme weather, etc.